be able to use the available computational power – we will soon have more cores inside a single node than we had in many supercomputers only two decades ago, we need to care about non-uniform memory access, communication network topologies – and not least accelerators. On top of this we might be seeing a rebirth of a much greater diversity in CPU architectures than we have grown used too. Here, I will primarily describe the efforts we have invested in the GROMACS code for biomolecular simulation over these years. I will discuss how even traditional “simple” compute-bound codes are now facing memory challenges, how we are working with new decomposition strategies between and inside nodes, and how we use both CUDA and OpenCL accelerators. I will particularly focus on advantages and challenges with heterogeneous parallelization combining CPUs and GPUs, but also show that it might often be possible to get remarkable performance improvements from CPU-only codes by bringing back some of the lessons we have learnt for accelerators, and suggest ways to use advanced hardware-specific CPU features in portable fashion. of membrane proteins, in particular ion channels, through a combination of molecular simulations and experimental work involving cryo-EM and electrophysiology. He has authored some 130 scientific publications and several widely used software tools. Lindahl heads the international GROMACS molecular simulation project, which is one of the leading scientific codes to exploit parallelism on all levels from accelerators and assembly code to supercomputers and distributed computing. 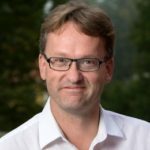 He is co-director of the Swedish e-Science Research Center as well as the Swedish National Bioinformatics Infrastructure, chairs the PRACE Scientific Steering Committee, and is the lead scientist of the BioExcel Center-of-Excellence for Computational Biomolecular Research. His research work has been awarded with the Prix Jeune Chercheur Blaise Pascal, the Sven and Ebba-Christina Högberg prize, and the Wallenberg Consortium North prize. Abstract: If the 2007 DARPA report on the roadmap to the Exascale is to be believed, we reached the Exascale in 2015. That we have not shows the deep technical challenges this next step in supercomputing represents. The challenges exist at all levels – from hardware, through systemware, to applications software. This talk will look at where we are on the road to Exascale from a European perspective including some lessons learned from the speaker’s own Exascale projects. 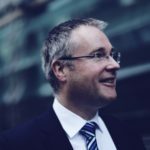 Bio: Mark Parsons is the Director of EPCC, the supercomputing centre at The University of Edinburgh. He holds a Personal Chair in High Performance Computing and is the Associate Dean for e-Research at the University. He is well known in the high-performance and data intensive computing community for his work on the industrial applications of HPC. He led one of the first European Exascale projects, CRESTA, which focussed on the software challenges of Exascale computing. Today he leads the Horizon 2020 NEXTGenIO project which is designing and building an HPC cluster node and software with deep support for Intel’s 3DXpoint NVRAM technology – a potentially important memory technology for the Exascale. Abstract: In this plenary talk, Trish will provide an overview of key technology trends driving the HPC business over the next few years, and discuss how as these trends present opportunities, there are several challenges as well that HPC market will face. As a second topic, this session will also cover How Moore’s Law is Continuing to Enable the Digital Revolution. Bio: Trish Damkroger is Vice President and General Manager of the Technical Computing Initiative (TCI) in Intel’s Data Center Group. She leads Intel’s global Technical Computing business and is responsible for developing and executing Intel’s strategy, building customer relationships and defining a leading product portfolio for Technical Computing workloads, including emerging areas such as high performance analytics, HPC in the cloud, and artificial intelligence. Trish’s Technical Computing portfolio includes traditional HPC platforms, workstations, processors and all aspects of solutions including industry leading compute, storage, network and software products. Ms. Damkroger has more than 27 years of technical and managerial roles both in the private sector and within the United States Department of Energy, she was the Associate Director of Computation at Lawrence Livermore National Laboratory leading a 1,000 person group that is one of the world’s leading supercomputing and scientific experts. Since 2006, Ms. Damkroger has been a leader of the annual Supercomputing Conference series, the premier international meeting for high performance computing. Trish has been the General Chair for HPC’s premier industry event Supercomputing Conference 2014 and has been nominated the Vice-Chair for upcoming Supercomputing Conference in 2018 and has held many other committee positions. Ms. Damkroger has a master’s degree in electrical engineering from Stanford University. Trish was nominated and selected for the HPC Wire’s People to Watch list in 2014 and recently in March 2018.